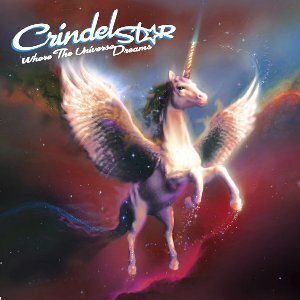 CrindelStar - Where The Universe Dreams, created by Award Winning Music Publisher, Gigi de Lugo, is an inspirational audio story & theme song, about a young girl, Maria, who is facing peer pressure from her classmates to abandon believing in her precious unicorns. We learn through Maria’s encounter with a mystical creature, CrindelStar, that what she believes of herself creates the foundation of what she might ultimately contribute to the world through her life’s purpose and gift. CrindelStar arrives to rescue Maria from her despair, but it is through Maria's compassion, honesty, and personal courage CrindelStar is saved as well! The card is CrindelStar’s Story and Song album. There is a unique code on the back used to redeem online for the mp3 Unicorn Story & Song. Then you can plant the card to grow your own wildflowers! These seed cards are one-of-a-kind. They are custom designed on handmade paper embedded with wildflower seeds. CrindelStar is a great story about peer pressure. Its a great story that the whole family will enjoy. The songs are great and the kiddos and I luv that we can plant the card and grow wildflowers! My kiddos and i liked listening to it together and chatting about peer pressure afterwards. I was here....this may be good for one of my nieces. I'm here, and want to win! I came here from tightwadinutah.com. Sounds like a fun story! I entered! Thanks so much for the chance! My daughter would love this! Thanks for the giveaway.